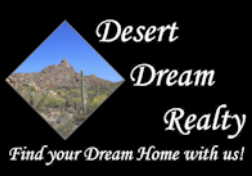 Selling Your Home | Desert Dream Realty Cave Creek | 480-252-8300 | Find Your Dream Home with Us! Welcome to the home sellers section. Here you will find information and tools about selling your home. Please select from one of the outstanding real estate home selling sections below. Why you may want to rethink selling your home without using a professional real estate agent. Receive a FREE home valuation from a professional real estate agent who knows the market conditions and can help you price your home so it will sell in the shortest time for the best price. Looking for a real estate agent? Here is how to find the best realtor for you! Stay apprised of all local real estate trends and request your free market update. Helpful tips for getting your home in sell-ready condition. Welcome to the home improvement information section where you will find outstanding home improvement resources for your home.